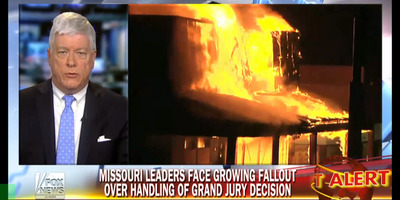 Fox NewsMissouri Lt. Gov. 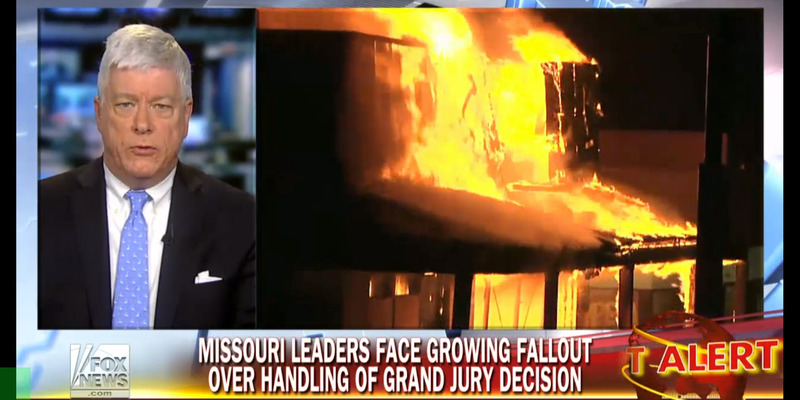 Peter Kinder (R) on Fox News. Missouri Lt. Governor Peter Kinder (R) tore into Gov. Jay Nixon (D) on Tuesday morning for keeping National Guard troops away “while Ferguson burned” during protests the previous night. “What the vast majority of Missourians are asking this morning is, ‘We see the National Guard rolling in this morning, … where were they last night?’ The law-abiding citizens, and businesses owners, and taxpayers of Ferguson and the St. Louis region have the right to ask this governor to answer some questions,” Kinder charged in a Fox News interview. Kinder went on to speculate pressure from the White House shaped Nixon’s handling of the demonstrations. Violent protests rocked Ferguson, a relatively small suburb of St. Louis, after a grand jury declined to indict a white police officer who shot an 18-year-old black teen in August. More than a dozen businesses were reportedly burned, multiple police cars were set on fire, and more than 60 people were arrested during the demonstrations. Prior to the grand jury’s decision, Nixon ordered the National Guard to be prepared for “contingency planning.” The governor then directed additional troops to Ferguson Tuesday morning, joining units that had been “assigned to protect, among other locations, a police command post and an electrical substation,” according to the New York Times. Kinder argued the delay in sending additional troops showed Nixon’s administration had probably been pressured by President Barack Obama and Attorney General Eric Holder. He also lamented that the governor’s office had shut him out of the decision-making in responding to the Ferguson protests. “Why were they not in there at the first sign of an overturned police car, or a smashed police car window, with a show of force that would have stopped this? And here’s my question that the governor must answer: Is the reason that the National Guard was not in there because the Obama administration and the Holder Justice Department leaned on you to keep them out? I cannot imagine any other reason,” Kinder said. Nixon’s office did not immediately respond to a request for comment from Business Insider. Watch Kinder’s full Fox News interview below.